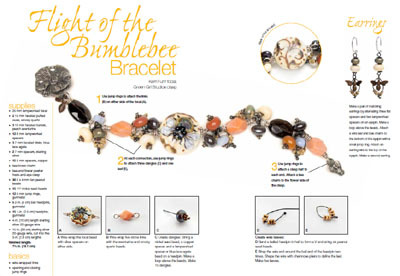 Heather Powers created over 30 nature inspired jewelry projects featuring art beads. Each project showcases her creative process and offers insight into the basic principles of design. Discover the muse for the necklaces, bracelets, and earrings throughout the book. Each stunning design is easy enough for beginners and inspiring enough for the seasoned designer. 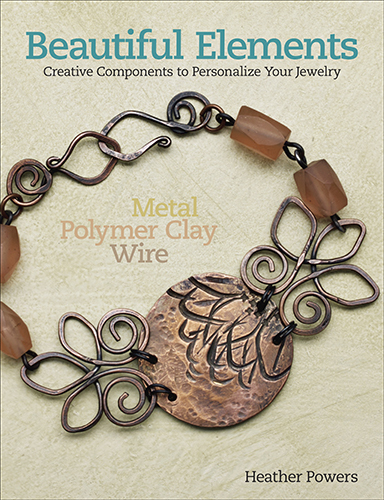 The tutorials throughout the book cover stringing, wire wrapping, and even seedbeads- perfect for all skill levels. Readers will find fun variations on the projects and a bonus earring design too. Articles on beads and poetry, tips for keeping a design journal, color palette ideas, and interviews with some of Heather Powers’ favorite beadmakers round out the book. 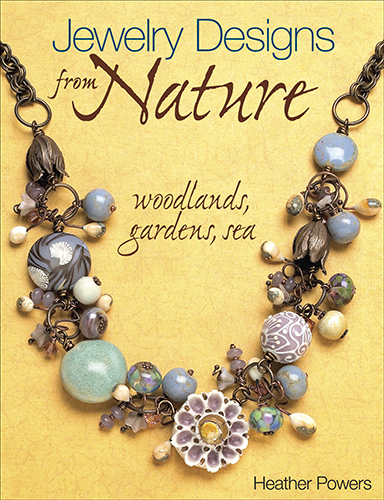 Jewelry Designs from Nature reflects what Heather finds most inspiring about the natural world- the forests and woodlands, gardens that bloom and buzz, and the call of the mysterious ocean. She has shared them with the reader in hopes that they will use the tools to explore their own inspirations. Peek inside! 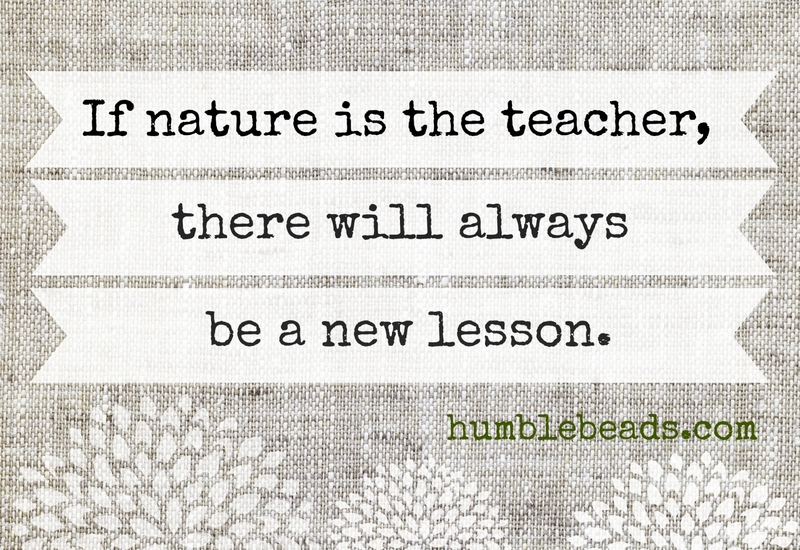 Preview Jewelry Designs from Nature here. Fill the year ahead with handcrafted beads that you can make yourself by following tutorials from Bead-Making Lab! Imagine a year in beads. We're talking 52 handmade varieties all handcrafted by you! Bead-Making Labmakes this bounty of bead making possible with instructions for bead designs that run the gamut from sophisticated to playful. 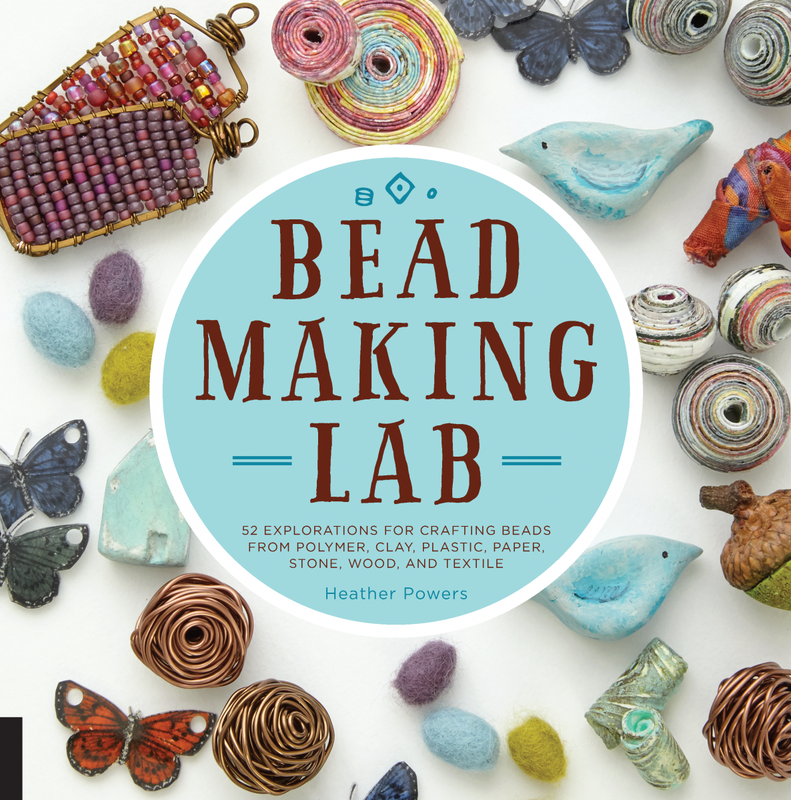 Bead-Making Lab is organized by material, and single-spread lab tutorials for each bead design make the book simple to use. The tutorials are brief, accomplishable, and rewarding. Choose from traditional materials like paper mache and polymer clay, or opt for new materials such as resins and shrink plastic. Once you've selected your medium, follow the lab instructions for the bead-making technique of your choice. Try a new technique each week! With how-tos including molding, carving, painting, gluing, drilling beach glass and pebbles, and creating fiber-art beads with felting and embroidery, you'll have a year of unique projects ahead of you. Bead-Making Lab also offers ideas on how to turn your beads into jewelry and gives you a sneak peek at some contemporary bead artisans' best work. Get busy beading, crafters! Contact Heather Powers to schedule an event for your store or bead society.